Finding spots that kept the sun in the late afternoon wasn't easy and always seemed to involve a long walk. 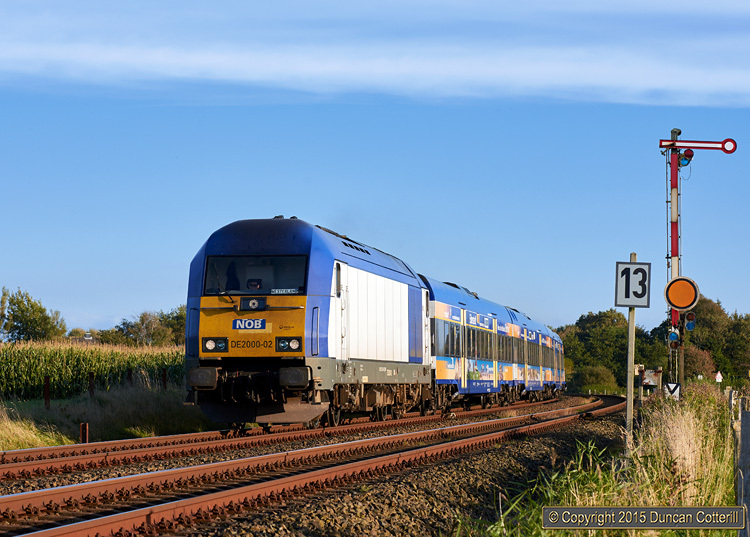 223.054 had just passed Risum-Lindholm, 4km south of Niebüll, with NOB81720, the 15:40 from Hamburg-Altona to Westerland, when it was photographed just before 18:00 on 28 September 2015. The sun was so low by this time that it was illuminating the far rail underneath the loco.